A little gem in Via Giulia, the most beautiful street in Rome. 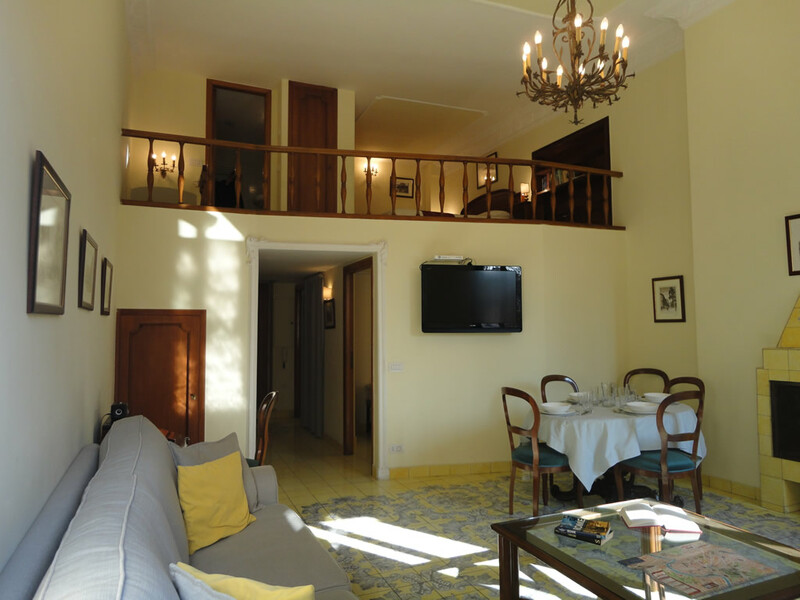 This beautiful apartment, 66 sqm, is suitable for couples who want to have a special holiday, but can also easily accommodate a family of 4-6 people. It is located on the first floor of a beautiful building of the 600´s, with lift, in what many consider to be "the most beautiful street of Rome. 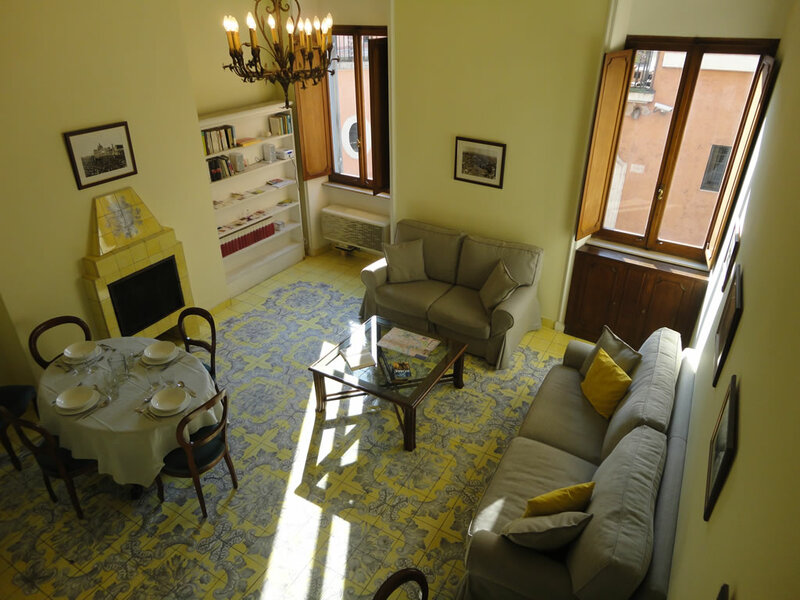 "The apartment at "All'archetto" enjoys a truly privileged location, right in the heart of Rome, just 50 m from the Farnese Palace, 250 meters from Campo dei Fiori, 500 m from Piazza Navona and 200 m from Piazza Trilussa in Trastevere. The area is full of restaurants of all types within walking distance and is also home to Argentina and Valle Theatres. It is very well served by public transport. Bus line 116 takes you in few minutes to the Spanish Square, the Trevi Fountain and the main shopping streets. A few meters away you can take buses that run along the Tevere while in 5 minutes you can find the lines that from Corso Vittorio Emanuele take you to Piazza Venezia or the lines that link Trastevere to the Vatican. 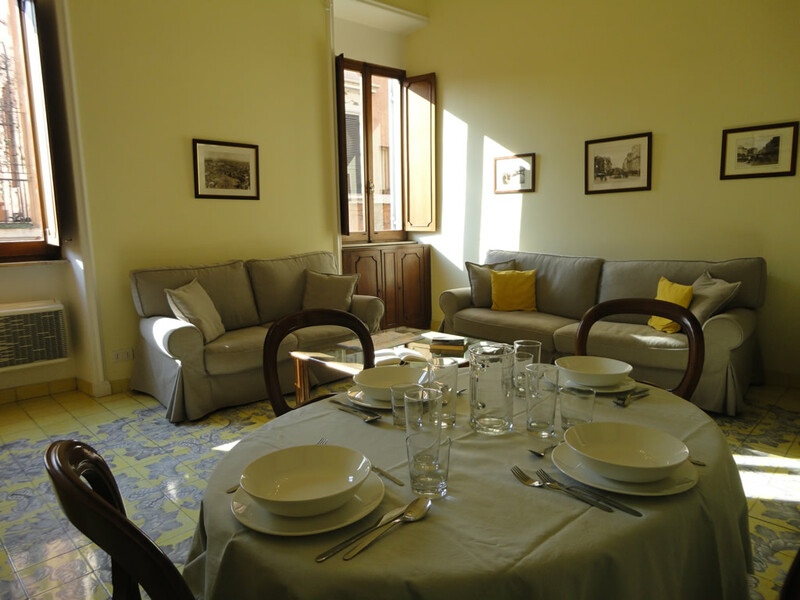 The apartment is a "holiday home" authorized by the Municipality of Rome ( aut. QA15201 del 22/12/2009). 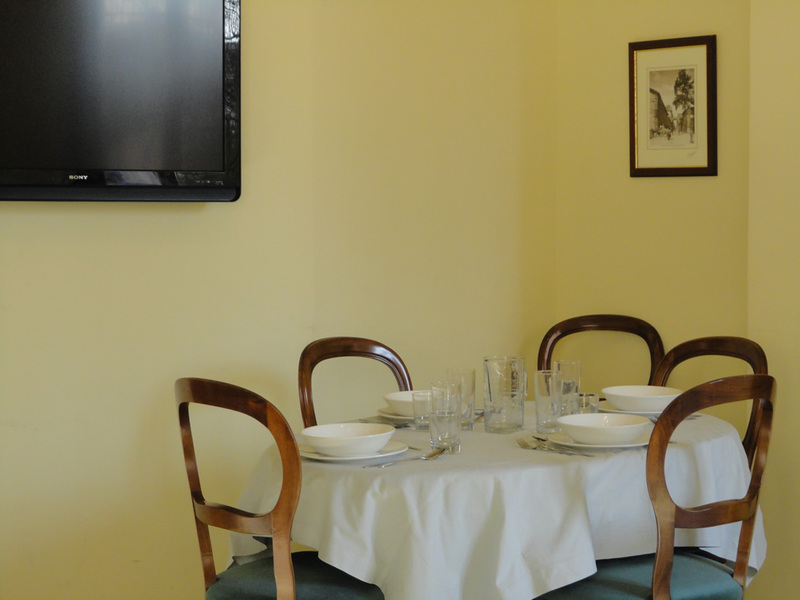 All'archetto apartment, completely renovated in late 2008, is elegantly furnished, very comfortable and warm. It consists of a large living room with fireplace, in which there are two sofas arranged, one of which converts into a double bed. On the living room there is the main double bedroom (or twin beds) located on a large loft, which also has a bathroom with a Jacuzzi. 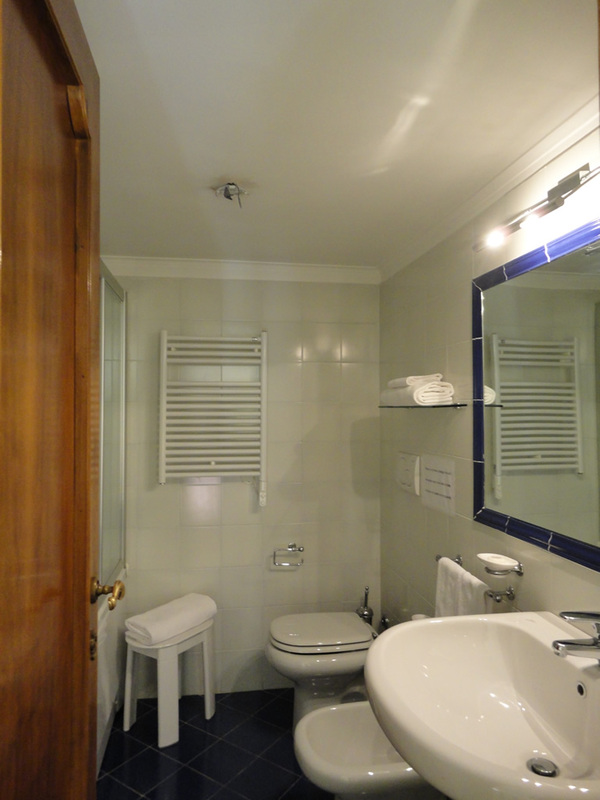 On the main floor there is the second bedroom consisting of one or two beds (as requested), the second bathroom with a large shower and a modern fully equipped kitchenette. The apartment is equipped with all comforts, from air conditioning to Jacuzzi, from a 40 "HD television with international channels Sky to a DSL internet connection with wireless signal, supplied PC, and from the dishwasher to the washing machine. All'archetto can be reached by bus via line 116 which stops right in front of the building departing from Piazza di Spagna; It is also accessible by Metro (Line A) from the Roma Termini railway station (3 stops), from Fiumicino (Leonardo Express train + Metro) and Ciampino Airport (Bus + Metro). The taxi station is 50 m away, in Piazza San Silvestro. The stop of many other bus lines is nearby, along the Tevere in Corso Vittorio Emanuele or in Vía Arenula. It is possible to rent a car service with driver for transfers to and from airports, railway stations, Civitavecchia´s Port and other places. With the train Leonardo Express, leaving every half hour from the airport, you can reach the Termini Station, then take bus 64 from Piazza dei Cinquecento to Corso Vittorio Emanuele / Sant 'Andrea della Valle. From here, Via Giulia 189 is only 450 m and could be reached by foot in a few minutes. A service of car booking with driver is available at different prices depending on the number of passengers and luggage (from €50 to €90). Using a standard taxi, the fare is about 48 euros. From the airport you can travel by coach with Cotral coaches which will take you to Anagnina Metro station. From here you need to take the Metro to Piazza Barberini, then take bus 116 in Via del Tritone up to Via Giulia / Polverone. The Terravision coach service connects the airport to the Termini station (timetables on the website www.terravision.eu). At a fare ranging from 50 to 90 Euros, depending on the number of luggage and passengers, you can also book a convenient transfer by car from the airport directly to the apartments. Using a standard taxi, the fare is about 35 euros. Take bus 64 from Piazza dei Cinquecento in Corso Vittorio Emanuele / Sant 'Andrea della Valle. Then walk for 450 meters to Via Giulia 189. A car rental service with driver could take you from the Station to the apartment at a price ranging from 50 to 90 euros (depending on number of passengers and luggage). The apartment is within the Limited Traffic Zone (ZTL), but only 30 m from the Tevere, which is outside the ZTL. Nevertheless, it can be difficult to find street parking and parking is not free of charge. The parkings available in this very central area of Rome have a high cost (50 euros/24 hours).